Tips from a Reluctant Sailor! As a sailing beginner when you stroll around any marina you will soon spot the classic sailing characters: the old enthusiast, patiently restoring a wooden shell to its sleek former self; the dedicated racer, tweaking his stripped out, cutting edge craft; or even tanned BMW man, who turns up on sunny weekends to take his latest woman out for a spin in his souped-up power boat. Move to the bar, and even a sailing beginner will find them easily. The old hand, scuffed down, ready for that all important anti-fouling job. The smart executive shades in hand, leading an enthusiastic team-building session. 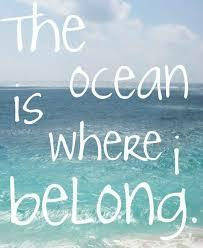 Or the sun-bleached student, fresh from his gap year spent taking boats down to the Med. In less time than it takes to hoist a mainsail, these women (for they are usually women, a sailing beginner) find themselves huddled nervously on the deck of a boat, trying to come to terms with the fact that yachts are supposed to tip over, and that this is good thing. 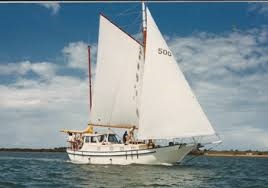 Education is the key for a sailing beginner and unfortunately this means that I, as the terrified new owner of a yacht, now face the prospect of learning to sail, so that I am not frightened of sailing. 2. The Sunshine Rule – The Reluctant Sailor will not go sailing if there is no prospect of sunshine over the period of the sailing expedition. 3. The Anchorage Rule – No anchorage will be acceptable to the Reluctant Sailor unless it is within 100 metres of a pub/restaurant/hotel, and preferably a small town with a guaranteed escape route. 4. The Fair’s Fair Rule – The Sailing Fanatic will match every week/weekend that the Reluctant Sailor spends sailing with a week/weekend somewhere warm, dry and comfortable - preferably abroad. 5. 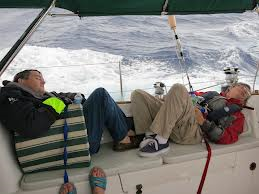 The Don’t Shout Rule – The Sailing Fanatic must not shout excitedly when asking the Reluctant Sailor to do something. The Reluctant Sailor reserves the right to tell the Sailing Fanatic where to stick his boat if he raises his voice. 6. The Rain Rule – Unless the presence of the Reluctant Sailor is required on deck to avoid capsize collision or other near-death experience, the Sailing Fanatic will deal with all work on deck while it is raining. The sailing beginner will be having coffee and Kit-Kat’s in the cabin. 7. The Maintenance Rule – The sailing beginner shall not be expected to maintain the boat under any circumstances. The words 'anti-fouling', 'sanding' and 'painting' are of absolutely no interest to the Reluctant Sailor. 8. The Too Much Time Rule – The Sailing Fanatic is not allowed to go into a huff when the Reluctant Sailor casually mentions that the Sailing Fanatic has spent the last four weekends 'fiddling with that wretched boat', and that the handsome divorcee from next door has moved in to keep the Reluctant Sailor company. 9. The Packing Rule – The Sailing Fanatic will keep his mouth firmly closed on the subject of packing for a sailing expedition. The Sailing beginner reserves the right to bring along anything and everything needed to sustain her through the ordeal, but will, if pushed, draw the line at the handsome divorcee from next door. 10. The Children Rule – The Reluctant Sailor will not be solely responsible for entertaining/controlling the children in the cramped and un-child friendly environs of a boat. 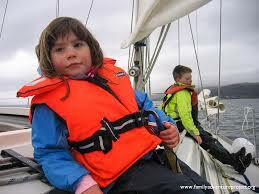 The Sailing Fanatic wished for a family sailing experience and a family sailing experience he shall get. 11. 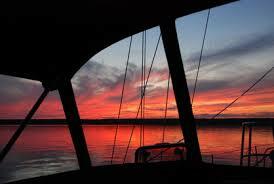 The Money Rule – The Sailing Fanatic accepts that once the sailing budget is gone, it is gone. He will just have to wait for that essential bit of kit. Any suggestion that this is not fair will cut no ice with the Reluctant Sailor, who is perfectly aware of her moral high ground on the subject of sailing and money, and will calmly point to the outrageous expense of buying the bloody boat in the first place.